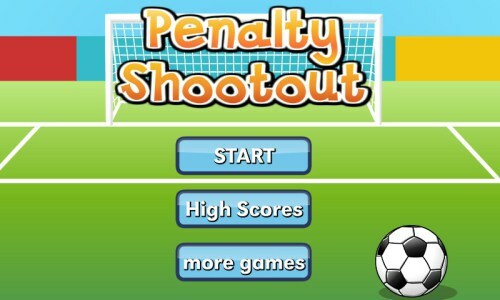 Description In this game, you need to play penalty shootout with the computer. First, choose your team and the computer's team, then the shootout begin. Use the mouse to point to the position you want to shoot to, when you shoot, there may be some deviations so don't go too far. When the computer shoots, you also use the mouse to decide where the goal keeper should jump to. After 5 rounds, if both teams have scored the same, then extra rounds will be added until one of the teams scored higher. Use the mouse to decide where to shoot to and where to jump to.